Hamilton - The Chiefs slumped to an upset 20-17 loss against the Highlanders on Friday after star centre Sonny Bill Williams conceded a last-minute penalty. 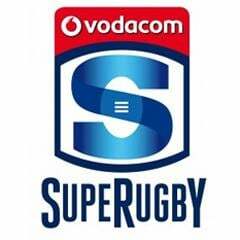 The Chiefs, early-season pace-setters in this year's Super 15, dominated possession and territory but failed to make it count, their first defeat in four matches. Attempts to repeat the slick attacking moves that saw them defeat seven-time champions the Crusaders last week repeatedly faltered as the Chiefs' star-studded backline had an off night. Instead, they succumbed to a sucker punch when Williams infringed on the ruck in the final minute, allowing rookie flyhalf Marty Banks to kick the winning penalty as the siren sounded. "It's disappointing to finish the game like that," captain Liam Messam said after a match when his forwards were so commanding they were awarded two penalty ties. "There were too many errors, basic handling errors and showing them too much pill (ball) and they punished us." He said the Chiefs had plenty to work on as they gear up for a tough road trip to South Africa. 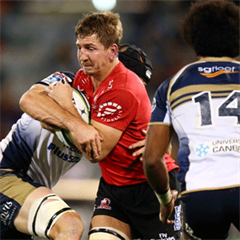 The result was the Highlanders' second win from three matches, building on a victory over the Queensland Reds last week. However, they were meek in the forwards and will need to improve to make a mark on this year's competition. They barely touched the ball in the opening stages as the Chiefs ran rings around them, only for handling errors to halt momentum when Chiefs threatened the tryline. Instead it was 3-3 after 20 minutes, with Chiefs pivot Aaron Cruden squandering the chance to give his team a handy lead when he kicked two penalties wide. The Highlanders clawed their way back into the game, with Highlanders centre Malakai Fekitoa besting his All Blacks rival Williams at the breakdown. But it was another centre, unheralded Highlander Shaun Treeby, who made the first clean break of the match to set up Patrick Osborne for the opening try. A Lima Sopoaga penalty saw the Highlanders go into half-time up 14-3 against a Chiefs side stunned to be trailing after enjoying 78 percent of territory. The Chiefs thought they had crossed soon after the restart but Sam Cane's effort was ruled held up. Their dominance then finally began to reap rewards with two penalty ties in the space of 10 minutes as the Highlanders failed first to deal with the Chiefs' driving maul then the scrum. A Banks penalty levelled the scores at 17-17 against the run of play with three minutes to go. In a dramatic finale, Chiefs winger James Lowe was sin-binned for a dangerous tackle on Fekitoa, then Williams conceded a penalty in front of the posts. Banks showed no nerves as he stepped up to seal the win.